Taiwan’s first female candidate for president, Tsai Ing-wen of the Democratic Progressive Party (DPP), explains her ideas for putting cross strait relations on a multilateral basis, and about Taiwan’s trade relations with China. After winning the DPP’s primaries, Tsai’s candidacy was confirmed on 27 April, 2011. 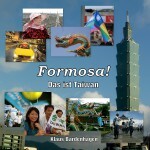 Taiwan’s elections for President and Parliament are scheduled for 14 January, 2012. On 23 April, 2011, Tsai met members of Taiwan’s international community to talk about her policy plans. Videos of the whole event can be seen here. Learn more in blogs here (David on Formosa) or here (Letters from Taiwan). Tsai will be running against incumbent President Ma Ying-jeou (KMT), who has also given English press conferences in the past. I personally, so impress both President Candidate Tsai, Ing-Wen DPP & Ma,Ying-Jiou KMT make their point of views about relationship with China. The The Prosident Candidates must persued „World values“ ry as much as possible to make the Country becoming more freedom & dynamic ways to dealt with every Countries of the World! Unfortunately, China Leaders not acknowledge the facts for World value they have never ending to push KMT Leaders drop into „One China Policy“ Truly, Taiwan have been A Democratic Freedom Country for more than 60 years It had been disconnect with Commnuist China for so long!??? Ma’s care deeply about „One China Policy“ forget Taiwan now absolutely,no longer suitable to applied as “ One China policy“ certainly no way to acknowledge or accept Communist system into Democratic Taiwan!!! Taiwan have been entirely transfer to different Freedom Democratic system. We pray Gd protect Taiwan hope with Divien help be able to chosse Righteous person as Next President of Democratic Taiwan!